Katherine explores grief and loss through her blog Helping Friends Grieve, which she founded in 2010 as a tool for friends and loved ones supporting someone in the grieving process. Currently, as a graduate student, Katherine studies community healing in post-conflict environments. Her work in international development and passion for justice and human rights has taken her to diverse regions of the globe, including the Peruvian Andes, Mexico City, Northern Uganda, Rwanda, and the Democratic Republic of Congo. Katherine’s interest in grief, memory, and healing is reflected in her desire to explore the role of community and inter-connectedness in healing. When she's not working, you'll find her outside: rock climbing, hiking or backpacking. Grief, loss, and mourning take hold of us. They become tides that come and go throughout the day or rollercoasters that catch us off guard, plunging us into undiscovered emotional territory. Loss leaves us bruised and, yet, curiously open to the world as we re-imagine and re-create our lives. We mourn the loss of place, home, youth, loved ones, and ability; the mix of emotions and utterly human trials exist in a web connecting our individual experience to our community. Our country continues to experience and heal from the devastation of hurricane Sandy; a thread ties together survival, loss, and resilience within our individual stories and communities. We seek safety, interconnectedness with each other, and real, literal moments of joy that anchor us to our everyday lives. The world of grief and healing is full of stories. Stories that make our hearts ache and bring tears to our eyes. Stories that touch us deeply, resonating with our experiences, bring our losses closer to the surface, and in their own way, heal us. A belief in the power of stories is why I share (link to Helping Friends Grieve) and encourage others to share. The stories I look to this week, offline, that is, weave together the personal and community elements of grief, mourning, and healing across cultures and experiences with loss. this i know by Susannah Conway The moment I laid eyes on Susannah Conway’s subtitle, notes on unraveling the heart, the warm book cover beckoned me in. Yes, I thought to myself, that is what I have been trying to say, loss and grief unravel your heart. Susannah vulnerably shares her experience with layers of grief, emotions, and self-doubt, ultimately, leading to much deeper questions of identity. Her journey becomes one of self-creation. Susannah began her journey writing about grief after the loss of the love of her life, through blogging (link here: http://www.susannahconway.com/2006/04/a-few-beans-to-spill/). 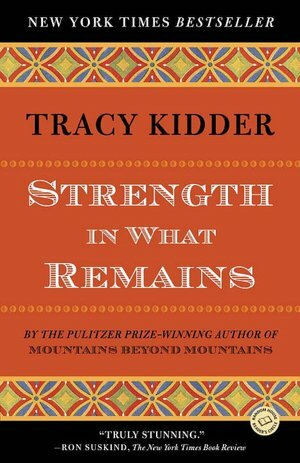 This i know, her 2012 book, re-lives her beautiful, tentative steps towards healing, “When we survive a traumatic event or transition in our lives, there’s a point when the healing really starts to take hold and we feel suddenly invincible.”(pg 39) Beyond words, her camera lens captures grief and healing in a moving combination of self-portraits and the world around her, which she claims give us clues on how to re-create our own worlds after loss. Her writing and photography show grief settling and her creative, passionate self-emerging from an unraveled heart. It is breath-taking and inspiring as we weave our own stories of grief. She bookends her story with chapters on love and healing, tying together childhood memories, anticipatory grief, the cracks in her relationships, the rollercoaster of caretaking, and the lack of rituals to shape and support her loss. 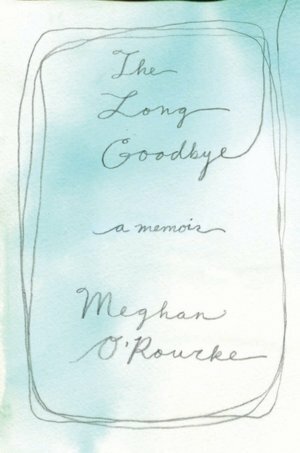 She gracefully tackles the experience of saying goodbye, allowing the reader to join her and glean insight its messy mechanics. Chicken Soup for the Grieving Soul by Jack Canfield and Mark Victor Hansen The Chicken Soup for the Soul series pulls me back to memories of weekends as a young girl, curled up on the couch of my family’s cabin in Colorado, reading stories of teenage love. This scene was nearly repeated after the loss of my father, as I dove back into other people’s stories. Only, this time I found comfort in their stories of loss and healing. I wove their stories into a safety net around my own emotions, allowing me the space to experience my own loss and journey. Wrapped in blankets, sipping cups of tea, I cried over the words I wasn’t brave enough yet to put on paper - a father’s portrayal of the loss of his son, a young woman’s loss of her mother, and a wide variety of other stories written by people who, I assumed, once had also curled up on a couch, searching desperately for meaning in the throes of loss. 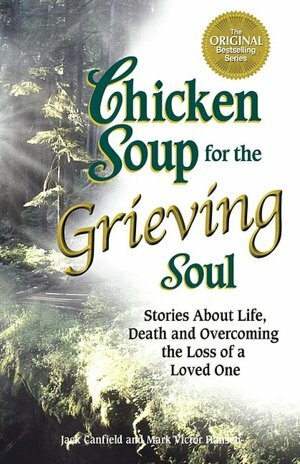 Chicken Soup for the Grieving Soul, is a compilation of stories written by authors who have lost loved ones. It beautifully walks the line between sharing in grief and inspiring readers with stories of healing and understanding. It connects us, showing our resilience as humans. My experience with grief is no longer just a memory of my own experience, but a mix of the stories I have loved, savored, and wiped tears off my cheeks while reading. These are just a few of the stories that sustain me.